Referendum: a great divide or an impossible unity? 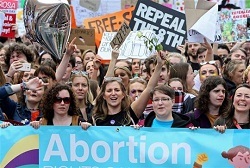 At the end of May, voters in Ireland will be called to decide on the eighth amendment to the Constitution. What decrees the equality of the right to life of mothers and unborn children. The CL community in Ireland has written this document.